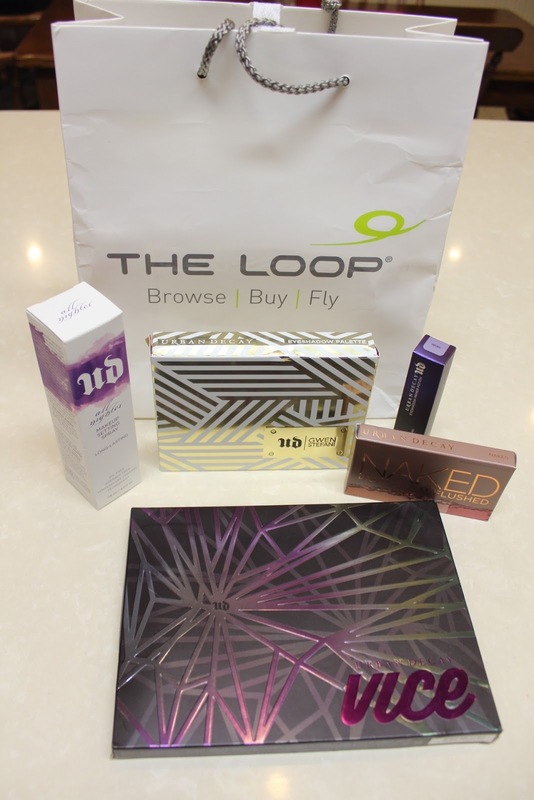 Just before Christmas I received an amazing parcel of Urban Decay products thanks to The Loop in Dublin and Cork Airports. This amazing goody bag consisted of the Vice Eye-Shadow Palette, the Gwen Stefani Eye-Shadow Palette, the Naked Flush Palette, the Eye-Shadow Primer Potion and the Makeup setting spray. I honestly felt like Christmas came early and I couldn’t wait to try out each product and review them for you guys! The first one that I wanted to try was the Makeup Setting Spray. I had tried a bit of this on my arm at a makeup demonstration before and I couldn’t believe how long it lasted so I was really excited to try it on my face. I was attending a wedding and needed my makeup to stay in place all day so this was the perfect opportunity to give it a go. I applied my makeup as normal, sprayed it on and away I went. Throughout the day, I checked my makeup over and over again to see if it needed touched up or changed in anyway and every time I looked, it still was as fresh as it had been when first applied. The venue of the wedding was very warm and humid so I did give myself a little dust of powder in the late evening as my makeup had become a little shiny, but it still hadn’t moved at all! I would definitely recommend this product to anyone who, like me, hates having to constantly touch up makeup on a night out or at a day long event such as a wedding. You go out looking flawless and half way through the day your make up is melting off your face but this little miracle bottle really stops this happening! It is perfect to keep you looking pretty and flawless all day long. If you are flying from Dublin or Cork Airport you can pick up this product for just €24.65 which is an amazing bargain. All products at The Loop are at least 15% cheaper than high street prices so I would definitely suggest picking one up on your travels. Keep an eye out for my reviews of the rest of these fab Urban Decay products coming soon!